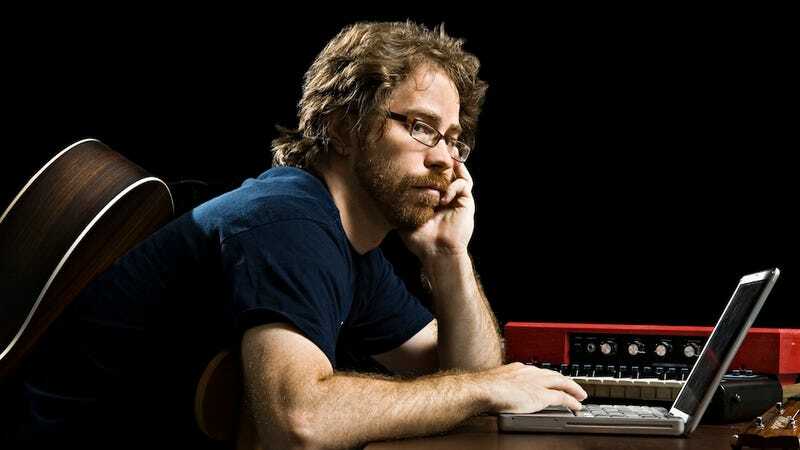 Songwriter Jonathan Coulton has posted an update on his personal blog in which he says Fox is unrepentant after blatantly stealing his arrangement of "Baby Got Back" for last night's "Sadie Hawkins" episode of Glee. Well, they aired it, seemingly unchanged. And it's now for sale in the US iTunes store. They also got in touch with my peeps to basically say that they're within their legal rights to do this, and that I should be happy for the exposure (even though they do not credit me, and have not even publicly acknowledged that it's my version—so you know, it's kind of SECRET exposure). While they appear not to be legally obligated to do any of these things, they did not apologize, offer to credit me, or offer to pay me, and indicated that this was their general policy in regards to covers of covers. It does not appear that I have a copyright claim, but I'm still investigating the possibility (which I consider likely) that they used some or all of my audio. I'll write something longer and more detailed about this when I can get my head together about it probably in a couple of days. Thanks for your support, but please continue not to burn anything down. If what Coulton says is the whole story, it's not entirely surprising, given that Fox likely went into this knowing exactly what they were doing. But it sure is dispiriting, especially considering the extreme similarities in the arrangements. They're essentially identical. I can't help but feel like it would have been so easy for Fox to simply reach out with an email, though it sounds like they don't do that because it's an acknowledgment of the fact that they're stealing work in the first place. Furthermore, this also seems like something Fox could fix simply by apologizing now, even after the fact. If I had to guess, I'd say they're not because they don't want to set a precedent for the future. In case you're just coming into this, here's Coulton's arrangement, which is from his 2006 album Thing a Week One. And here's the full Glee version, which aired last night. This whole thing is so skeevy. I know a lot of people hate Glee, but I've always had a lot of respect for the musical side of the show. I've often enjoyed their more creative arrangements and mash-ups, and thought it was often a pretty daring show, especially in the early goings. Whether or not this kind of thing is standard practice for Fox and Glee, this whole Coulton affair makes me wonder what other artists they've been stealing from over the years. I've asked Coulton if he has any further comment, and have once again reached out to Fox for comment (they have yet to respond to any of our emails). We'll update as we hear back. For more, read our original story, and watch last night's Glee performance here.